I love Instagram. Anyone who follows me on social media would notice that I’m most prevalent on Instagram. I love it because I find it less noisy than other platforms, more fun, and generally a positive place. Plus, it’s all about the visuals, and I’m more of a visual person… after all a picture speaks a thousand words, right?! But, how do you use Instagram to maximise the promotional value of your business? 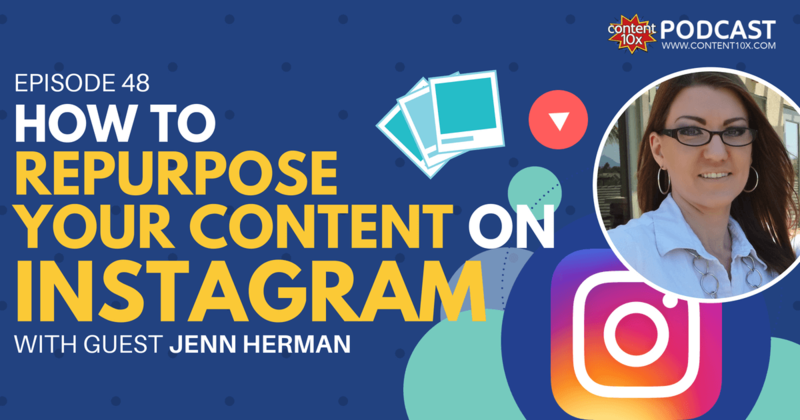 More importantly, how do you REPURPOSE your content on Instagram to make it go further? 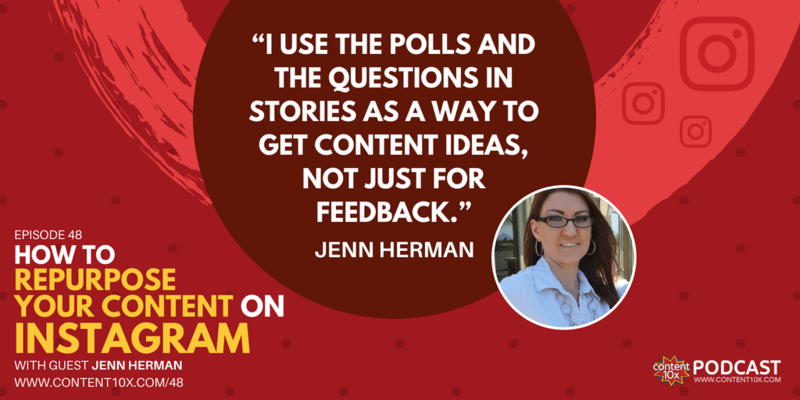 I was extremely excited to have this week’s guest on the podcast, Jenn Herman. She’s the world’s forefront blogger on Instagram marketing. She’s the author of The Ultimate Beginner’s Guide to Instagram, and a busy social media consultant. She’s also a thoroughly nice person to chat to! Jenn was already a social media blogger when Instagram came out. She noticed its potential early on and decided to start educating the blogging world on every aspect of the now-gargantuan platform. 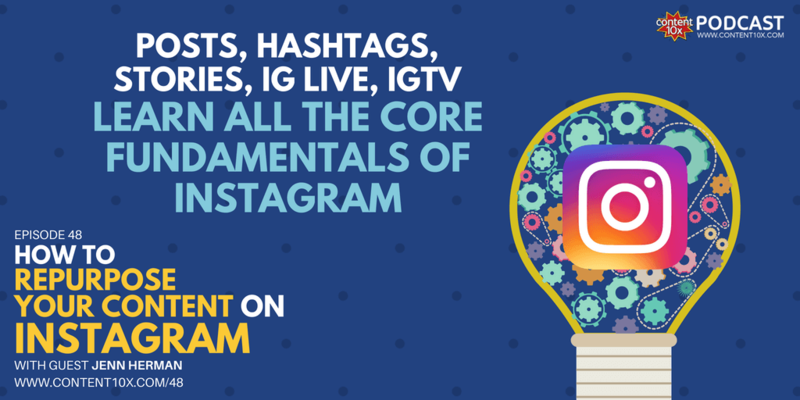 In the podcast episode Jenn took us through all the must-know fundamentals of Instagram. Click play below to listen to this episode or read on for a detailed overview. You can think of Instagram as having 5 main elements that you need to master to maximise its promotional potential for you. As you read on, remember, it’s not about large follower counts or likes. It’s all about the right followers for you, engagement and conversions. First thing’s first. How do you send people back to your website? Unlike Facebook and Twitter, Instagram post captions and comments don’t support hyperlinks. You are only allowed one link in your bio (with some notable exceptions in the other elements which I’ll come onto soon…). So, before promoting anything, create a trackable link for your Instagram bio. Jenn explained in our conversation that she uses Bitly. That way, you can see exactly how much traffic you’re getting from Instagram. Great tip! There are lots of ways that you can repurpose a quality aspect of your content into a short video or an image for an Instagram post. A teaser, such as a tip or two from the post – why should they care? What will they get from it? Some bloggers change their bio link every time they upload a new article, so it takes people straight to the article. The downside is it can cause confusion for future readers. So, as mentioned above, Jenn uses a more evergreen solution. Her bio link points to her main blog page, which always has the latest post at the top, as well as leaving people the option to easily browse the others. You’ll need to remember a few hashtag rules to get started. Good hashtag strategy mixes broad vs narrow and popular vs niche hashtags. For broad vs narrow, imagine you’re a chef in San Diego. A highly broad hashtag would be #food. That won’t help you. The much narrower #sandiegorestaurant, however…now we’re cooking. You could also tap ‘Add Location’ to drop a location tag on your post, but I digress. Popular vs niche is all about the numbers. How many posts use a particular hashtag? Open Instagram right now and search a relevant keyword for you. Tap the ‘TAGS’ tab. You’ll see a whole list of similar tags, each one displaying how many times it’s been used. We’ll use these numbers to divide our hashtags into groups. If you follow this formula, the following will happen. The popular tags give you a quick burst of exposure that dies down in minutes. Then your moderate tags kick in and give you exposure lasting for hours or days. After that your small, targeted tags continue to provide a trickle of exposure for weeks. This perks up Instagram’s algorithm. Instagram sees your initial burst followed by long-term attention and assumes you’re a bit of a rock star. Get this right, and you’ll probably outperform the other posts in the narrow, niche hashtag categories, which will put your post in the short running for being made a Top Post. As a Top Post, you’ll be seen first by everyone searching those hashtags. Don’t use hashtags over 1 million. It’s not worth it. You’ll probably only get a handful of real human eyeballs. The rest will be automated bots swarming your comment section leaving things like, “Great post! Follow me @blahblah”. At under 1 million, a hashtag is unlikely to get any attention from bots. 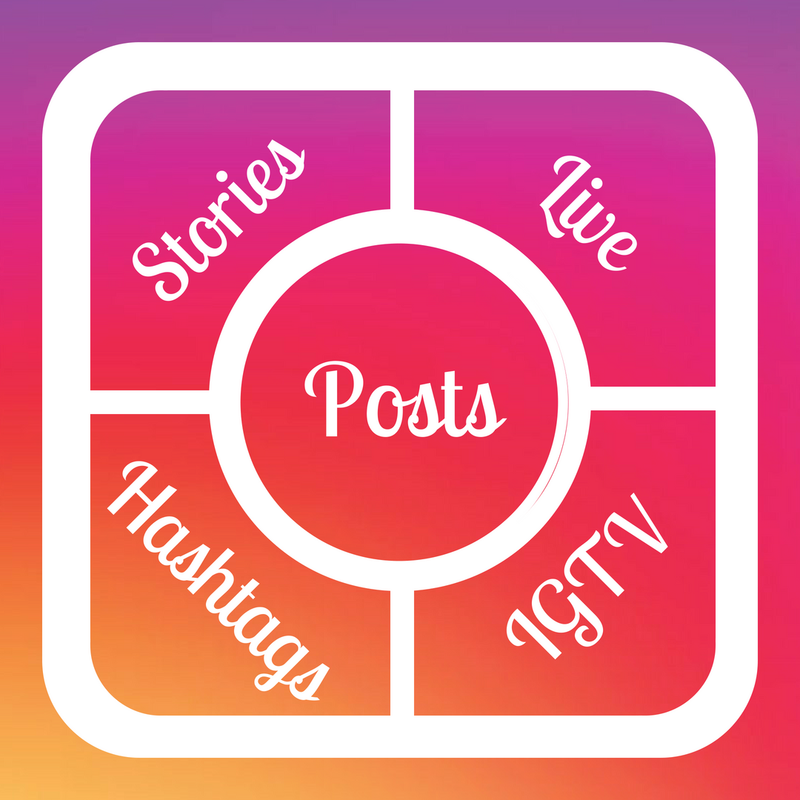 For more detail on proven hashtag methodology, go to Jenn’s blog and search “Instagram hashtags”. Stories took Instagram by storm. Users love them. I LOVE Instagram Stories! They’re only up to 15 seconds long, keeping the content crisp and snappy. However, there’s nothing stopping you from shooting a bunch of them in a row of 15 seconds each. If you’re promoting a piece of content you could “repurpose” it into the stories-format by simply summarising the salient point or best tip. If you create video content, you can repurpose snippets into 15 seconds for Instagram. If you have a podcast you can take snippets of audio and create 15 second audiograms for Stories. Remember to choose snippets that are really interesting to get people to want more! If you have over 10,000 followers and have a business profile, any story you post can have a “swipe-up link” to send people straight to your blog. If you’re not there yet, you can write “link in the bio” on top of the video. Note: The swipe-up ability is not worth buying followers for. Resurrect expired Stories by fishing them out of the ‘archive folder’ and turning them into a “highlight” (those bubbles that show up on your profile above your photos). Highlights stay in place as long as you like on your main Instagram profile page. Use Stories to poll your audience by adding the YES/NO button or the ‘emoji slider’…or any of the other engagement options that exist in Stories. If you have just recorded a podcast episode, or any other form or content, where you asked certain questions,maybe even sparked a debate, then why not take it to an Instagram Poll?! When IGTV (Instagram’s foray into long-form video) first came out, it rode on a wave of hype and excitement for a month or so. Now, we are experiencing a bit of a dip. Time to bail? Not quite. The exact same thing happened to Stories in 2016. Then, people kept using it after the novelty wore off, and it’s been growing steadily in popularity ever since. Hindsight is twenty-twenty, whereas foresight is just a case of being prepared. 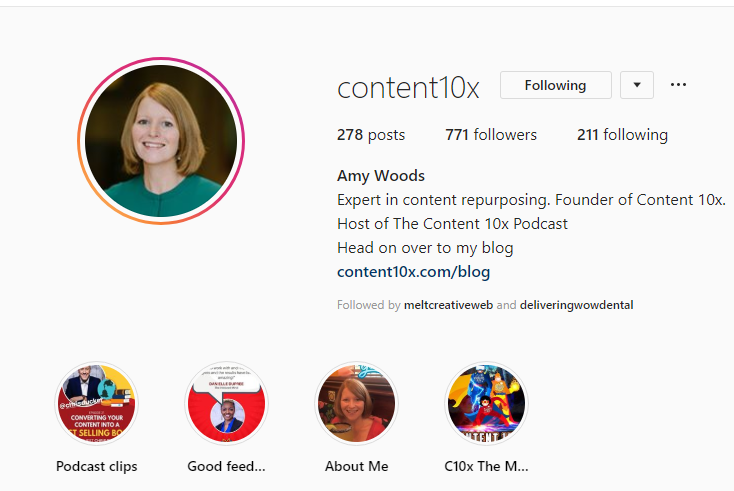 By repurposing existing content into portrait video, you can keep a consistent presence on IGTV without spending much time on it. Then, if it experiences an uptick you’ll be perfectly poised to make the most of the newest big video player on the internet (and that can be a big deal). And if it doesn’t, well, you haven’t had to spend much time on the experiment. Your videos must be between 15 seconds and 10 minutes. You can put any link you want in the description and it’s clickable, regardless of your follower count. This is a great benefit!! Every other Wednesday 4:30 Pacific Time she’s speaking directly to her audience. Live video’s biggest benefit over the other types of content is its ability to build significant trust and likeability in a single session. When someone asks you something and you give a great answer off the top of your head, you’ve just proven genuine expertise. So, when you publish content – let’s say a new blog post – if you then turn up live to talk about it in more detail, you’re able to show there is depth behind the words and you’re the real deal!! Equally, when you’re asked a question that you don’t know the answer to right away, and you’re totally transparent about that, it builds trust too! You can’t lose so long as you stay transparent and honest. Use the opportunity, too, to poll your audience. Would they like you to research the answer and create a full blog post? If they do, you’ve just found a hot, hungry topic for your next post! Live sessions allow people to get to know your personality on a more intimate level. They hear your off-the-cuff tone and the passion in your voice when you go off on a rant. People like to see you stumbling over your words, not to point and laugh, but just to see that you’re human just like them. Check out our episode with Ian Anderson Gray about Facebook Live for more tips. Many of the same principles apply. Instagram was much mocked when it first came out (as were all social platforms, I suppose). These days, it’s not only one of the most popular places to visit, it’s also the platform with some of the highest engagement of any other. Instagrammers love to “double-tap” (to like) and leave comments! If you haven’t tried it before, now’s your chance. What are you waiting for? You don’t need to struggle with wondering what to post on Instagram. If you are already creating content, then start by simply repurposing it. 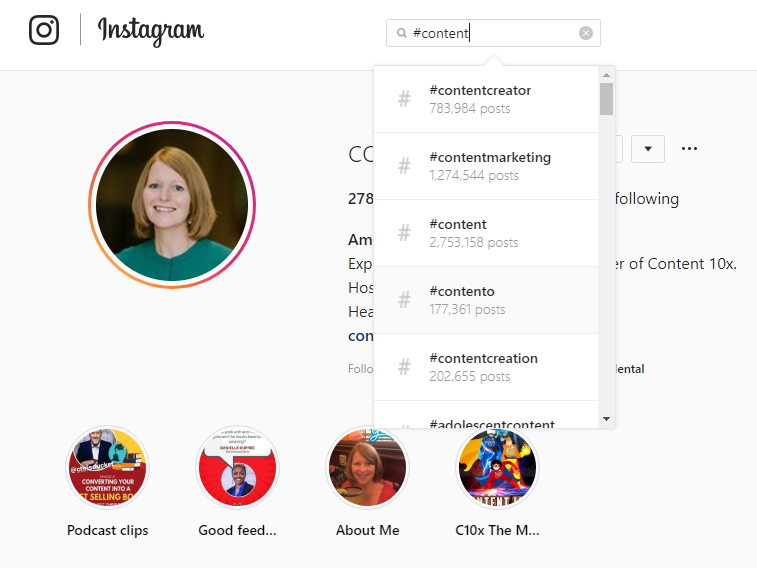 Create quote images, record short videos, go-live to talk about your topic, jump into Stories… there’s so much you can do to get your content on Instagram. As with all content strategies, it’s about testing. Find out what works with your audience. 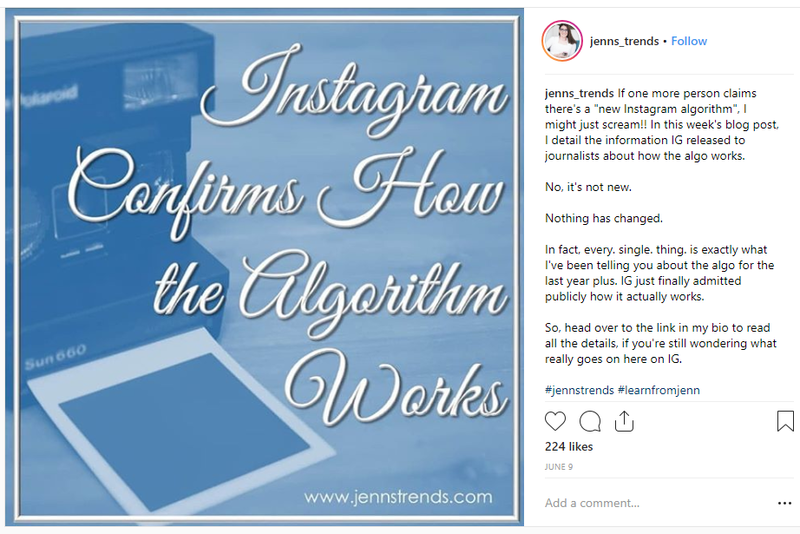 To keep up with Instagram’s regular feature tweaks and news, you won’t find a better place than Jenn’s blog and Facebook group. Follow her on Instagram @Jenns_Trends to see her strategy in practice.